Patients recovering from knee replacement surgery may require leg braces, canes or crutches to assist with walking. The process of knee surgery recovery begins immediately following the procedure. Three to five days of hospital recovery is typical following knee replacement surgery. Knee replacement surgery recovery might include walking with the use of parallel bars. Patients receive visits from a physical therapist for two months after being sent home, to ensure they can safely walk on the new knee. Many patients undergo two months of physical therapy after knee replacement surgery. Most patients must undergo two months of intense physical therapy and limited activities to fully recover from knee replacement surgery. This healing process begins in the hospital the day following surgery, and is continued at a rehab facility or in the patient's home. Individuals who have had a knee replaced must be careful during any physical exercises for the next year after their surgery until their doctor approves a full return to normal activities. Knee replacement surgery occurs when any damaged portions of the joint that connect the thigh bone and shin are removed. A plastic, artificial joint is put in its place to hold the bones together and allow the leg to move properly again without pain. This procedure is considered major surgery and is often a last resort for individuals who are no longer able to walk or move their knee without significant pain and discomfort. Three to five days of hospital recovery time is typically required to initially recover from knee replacement surgery. This allows the doctor to check the incision site and make sure it is healing without infection. A physical therapist may visit during this stay to help the patient stand on his or her new joint for the very first time. The therapist can also demonstrate how to walk using crutches or a walker in a way that will not aggravate the knee while it heals. Following their stay in the hospital, patients are then sent home or to a rehabilitation center for one to two weeks. This allows for a course of intensive physical therapy which is necessary to help individuals to fully recover from knee replacement surgery. 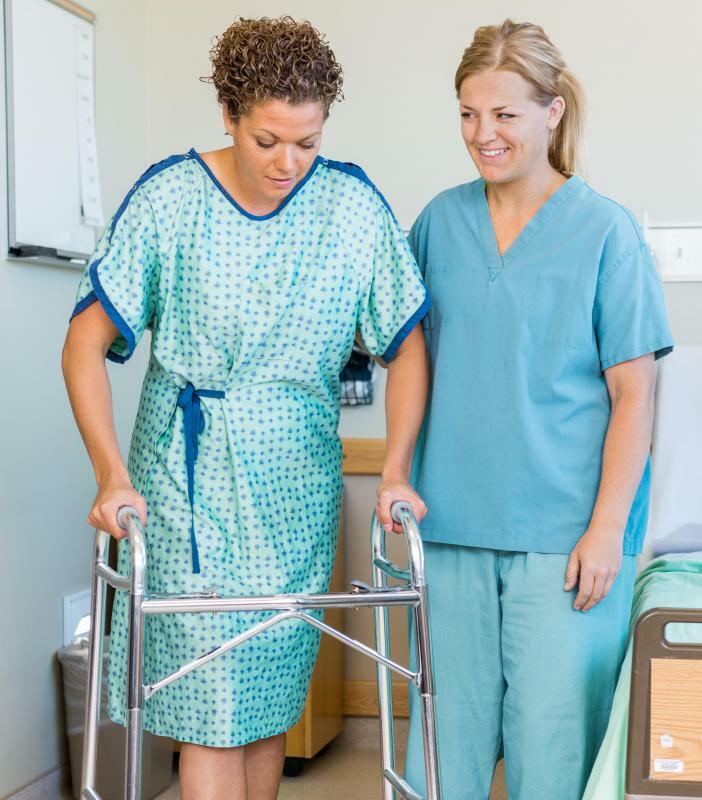 Patients who are sent home usually receive regular visits from a physical therapist for the following two months until they are able to safely walk on their new joint without stiffness or pain. Physical therapists typically require their clients to perform special exercises that improve the muscle tone around the knee. These muscles may have begun to degenerate from improper usage while the knee was not functioning well, and will also be tender from the recent incisions made during surgery. 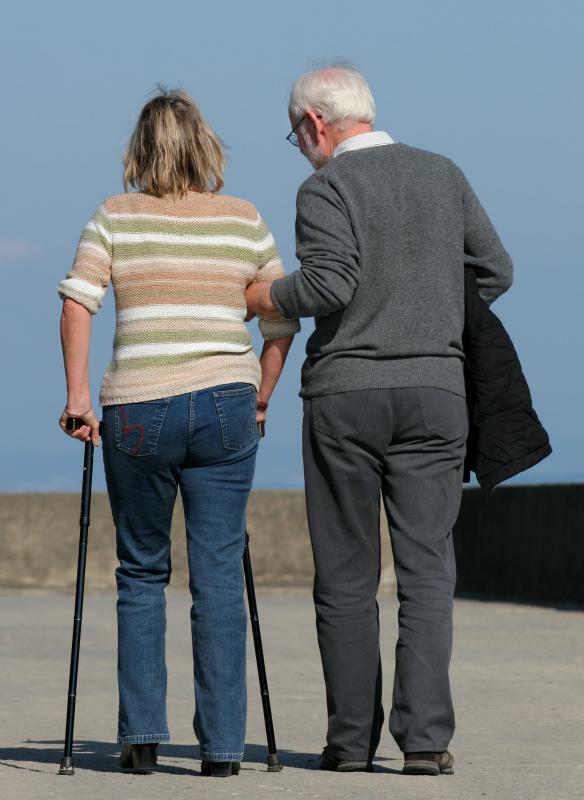 Patients may begin by walking while holding onto parallel bars for support. They can also practice light pedaling motions while lying in bed to promote blood flow to the area. Exercising is a key component in allowing the whole leg to recover from knee replacement surgery, and neglecting this important step can lengthen the process. Most patients can return to a medium level of intensity in their physical activities after the two months of physical therapy following their knee replacement surgery. Monthly visits to the doctor may be required so that the orthopedist can continue to check the healing progress. After one year, all levels of physical activity may be resumed, except for running and jumping. These two exercises may be restricted — depending on the doctor's recommendations — because they tend to put the most strain of any activities on this joint. What Is a Joint Replacement Center? What Factors Contribute to the Cost of Knee Replacement Surgery? What are the Different Knee Replacement Complications? 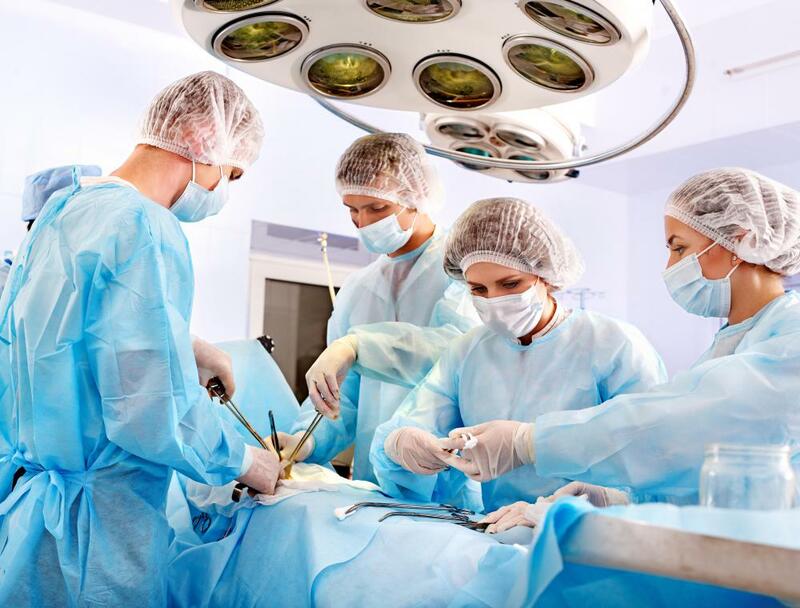 What are the Different Types of Knee Surgery?